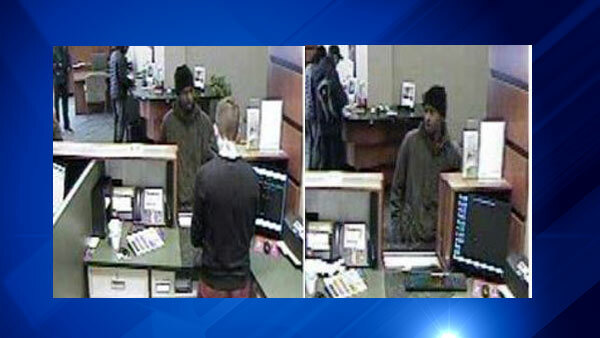 CHICAGO (WLS) -- Chicago Police are searching for a man seen in surveillance photos allegedly robbing a Near North Side bank. Police say the man walked into MB Financial Bank at 33 West Huron just after 10:30 Saturday morning handed the teller a note implying he had a weapon. The offender got away with cash and no one was hurt.